In recent years increasing attention has been paid to issues of social exclusion and the problematic transition from youthful dependence to adult independence. Often this has had severe consequences, ranging from under achievement and disruptive behaviour in school, through the misuse of alcohol and drugs, to serious or persistent offending. Seeking to address these issues has become a major focus of public policy and a variety of forms of intervention with disaffected youth have been set up. One of the most talked about forms of intervention with disaffected youth has been 'mentoring'. 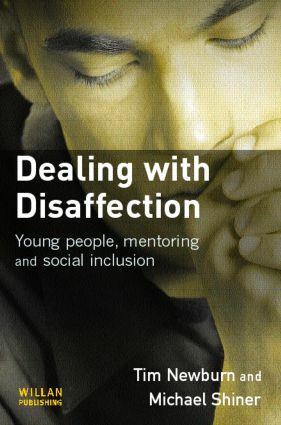 This book, based on a large-scale research study, examines the lives of a large group of 'disaffected' young people, and considers the impact that involvement in a mentoring programme had on them. In doing so it fills a large gap, providing empirical evidence on the effectiveness of mentoring programmes, providing at the same time a vivid insight into the nature of such disaffection, the realities of contemporary social exclusion among young people and the experience and outcome of mentoring.